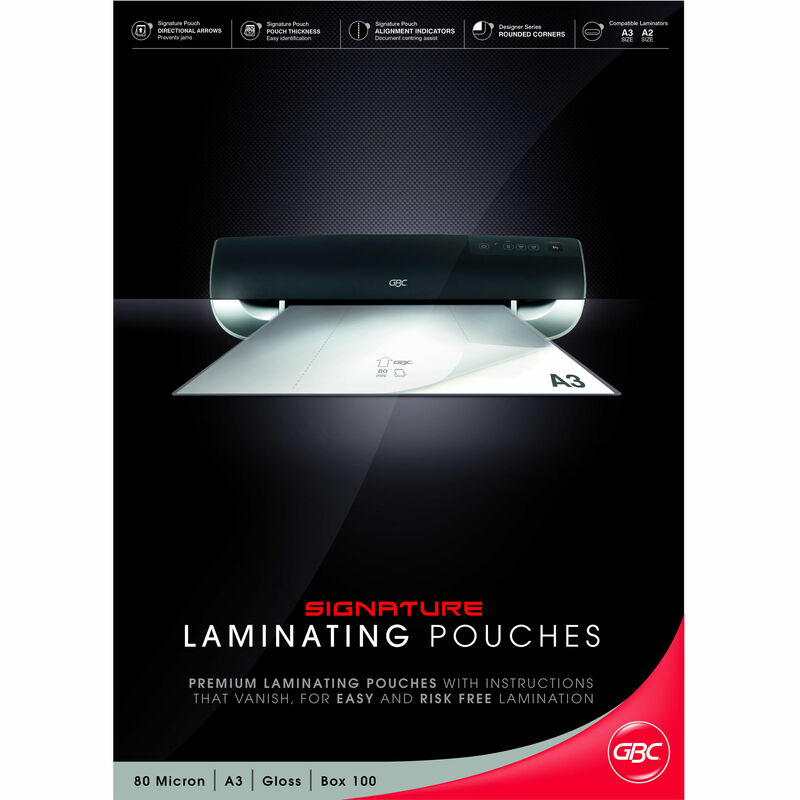 High quality laminating pouches designed specifically for the home and small office user. 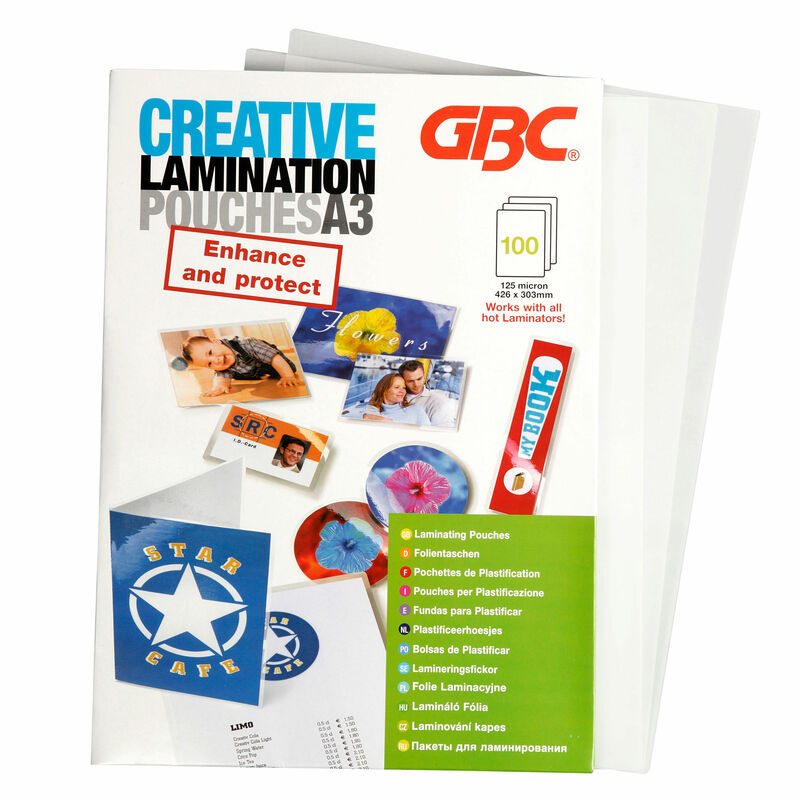 GBC laminating pouches provide superior document protection. 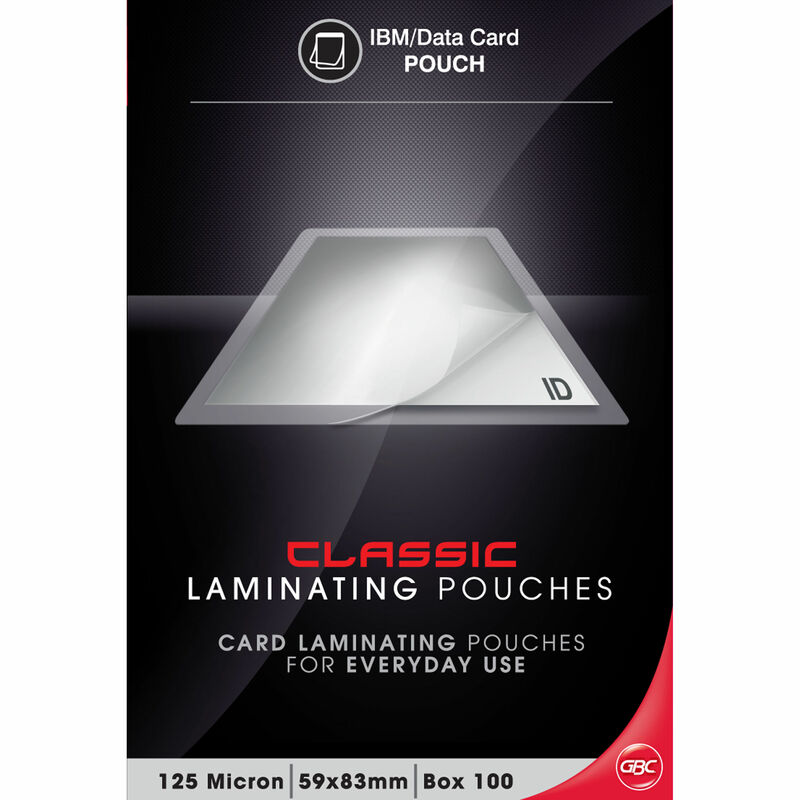 Featuring the highest quality materials GBC pouches are crystal clear with a high gloss finish. 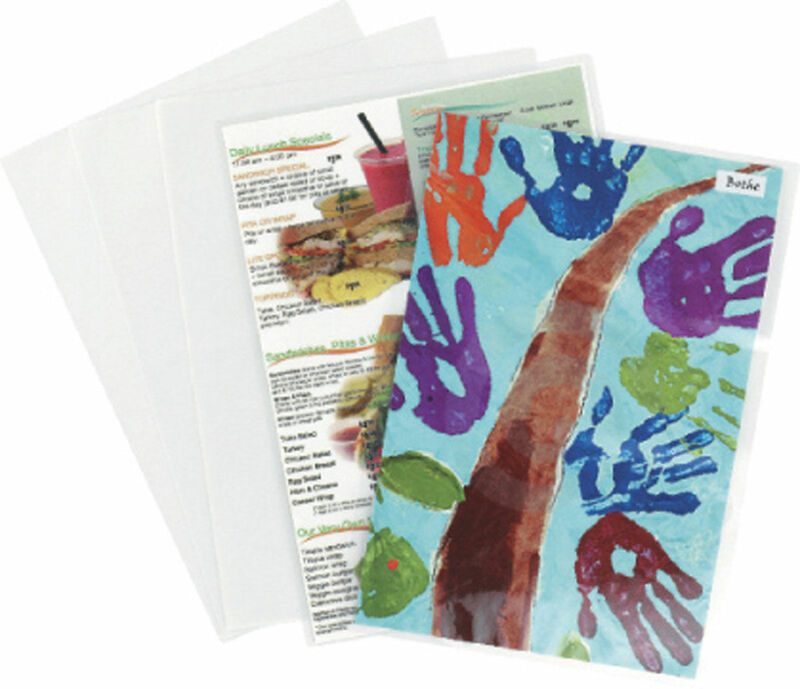 GBC pouches come standard with rounded corners and are available in a variety of thicknesses and sizes. 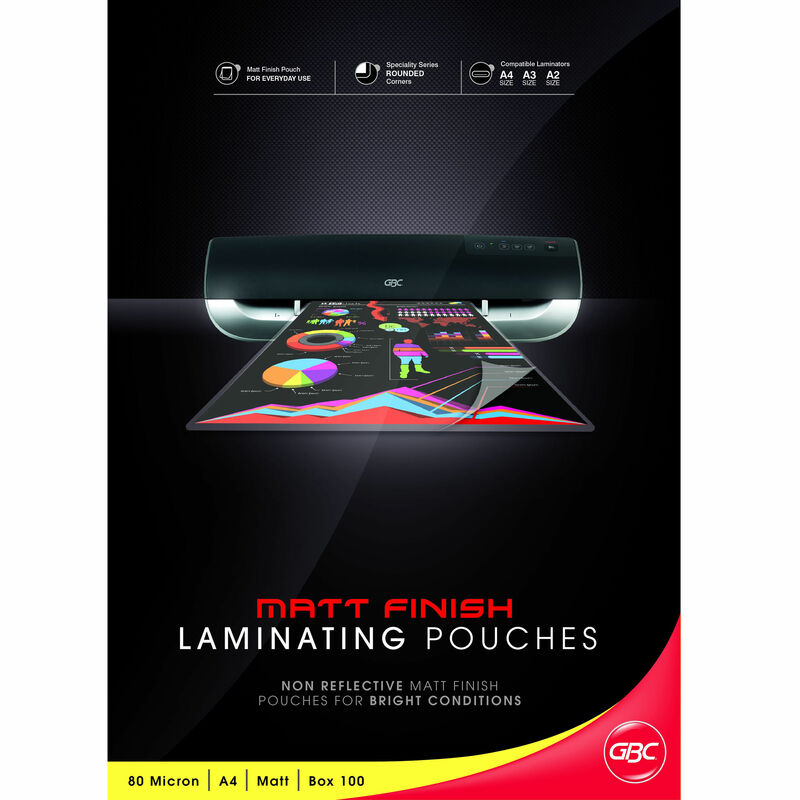 Premium laminating pouches available in various sizes.